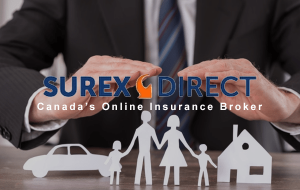 Surex Direct is Canada’s fastest growing online insurance brokerage. Quote, compare & buy online, with access to instant proof of insurance. Some of Surex Direct’s accomplishments are placing 5th on the 2017 Top 10 Brokerages in Canada list (by Insurance Business). Placing 30th on the 2016 Startup 50 Canada list (by Canadian Business & PROFIT). Running a business raises new questions each day. What do our customers think? How are we performing? More training for our employees? Each expert in your company has a different opinions. How can you find out what everyday people think? Reach valid respondents — with over 50 brokers using our platform. Investigate anything from brand perception to market strategy. Build individual broker profiles with testimonials. Find out how you can get great reviews like Surex Direct.